It’s our final day in LA. Later today we’re flying back home to San Francisco. Although we love traveling, both R & I missed our little home in SF. 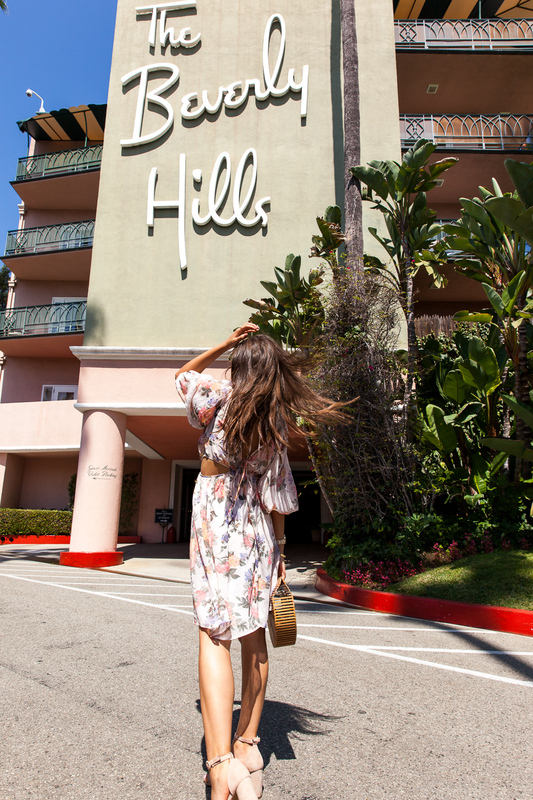 We’ve been to LA quite a few times now and I’ve always wanted to visit The Beverly Hills Hotel but never got the chance to. This time, I put it in our calendar to go there and see this charming little hotel. I’m not going to talk or share lots of details and pictures of the inside in this post because I want to stay there one day and dedicate a whole post to it. All I can tell you is that it’s as beautiful and charming as it looks in the pictures. Pink and white walls with beautiful palm print wallpaper cover the walls, making this hotel such an iconic place. The outside, just as charming, has become an Instagram landmark. After a few snaps, we headed to the Cabana Cafe. Located near the pool it looked like a cafe from the south of France. We sipped on a refreshing cup of iced coffee and munched on the most delicious Croque Madame ever. 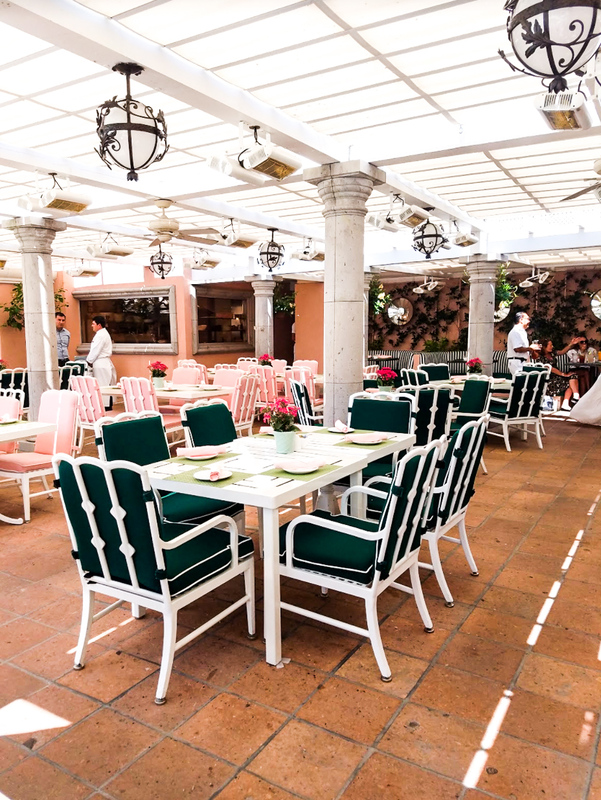 Next time you’re in LA, go have a brunch at The Beverly Hills hotel. It’s pricey but it’s worth it. Such gorgeous photos! It’s a dream location. Hope you have a great journey home. Such an iconic hotel! And your dress is SO GORGEOUS! Absolutely love your entire look! And how brilliant of you to have the maxi shortened!! I think that’s the best idea ever! Great pictures! 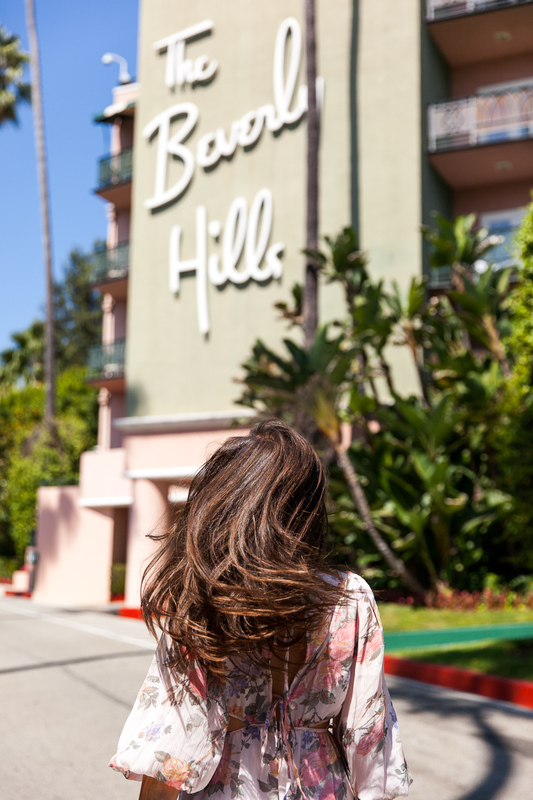 Years ago when my friend and I were in LA we stopped by to the Beverly Hills Hotel! I loved it! Theses photos are so stunnning ! This dress is so pretty and I would love to go here! So fun, Tamara! 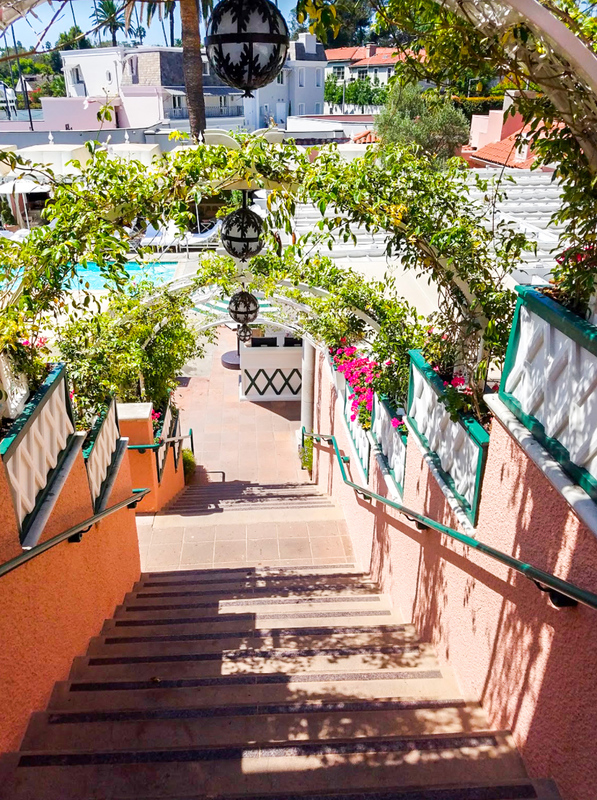 The Beverly Hills Hotel is such a classic! Gorge pics, babe! It is so cool that you got to stay at such an iconic hotel and it seems to live up to all of the hype. I hope you had a wonderful time on your trip! Beautiful photos.You looks so gorgeous! And the hotel is so great! Great photos and love this dress! You look really amazing, Tamara! I’m digging those sunnies! You look so gorgeous Tamara. I love your sunglasses, and your dress is really fabulous as well! Wonderful pictures! Your dress looks lovely! I’ve always wanted to stay at that Hotel!